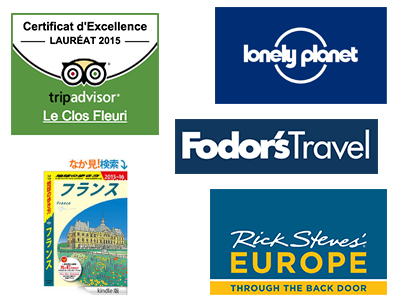 Should you require any help to plan your day trips in and around Giverny, do ask me. In order to avoid waiting in a queue for your tickets, for the Monet house and garden, please ask us as we have the tickets for sale at Le Clos Fleuri. Rental cars are available in Vernon especially Hertz and Avis but you have to order them before your arrival from your country. Please do ask us if you need some help. There are several other day tours that we can highly recommend to you, we can give you all the information and maps on your arrival here with us, do ask us. Château-Gaillard: Majestic 12th century fortress built by Richard the Lionheart, King of England and Duke of Normandy. 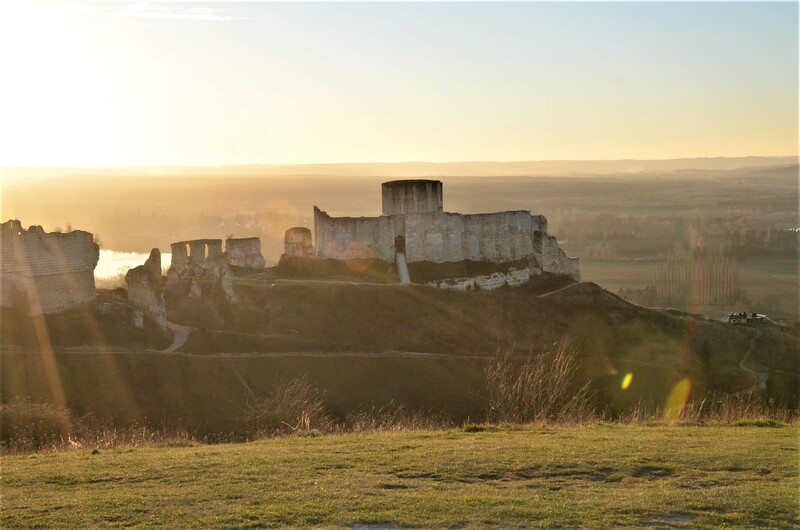 Constructed in a year on a hill overlooking the Seine river, Chateau-Gaillard was the edifice within the vast defence system that controlled access to Normandy. During the Wars of Religion, after a two-year siege, Henry IV surrounded Chateau-Gaillard and had it demolished. Today there is still quite an impressive ruin and a superb view over the Seine river. Emotion in the air…. here, the rose is queen, with hundreds of varieties to admire. The manor house looks on to a very English garden where little paths lead the visitor subtly around, among herbaceous perennials and ornamental trees and shrubs, including many varieties of hydrangeas. 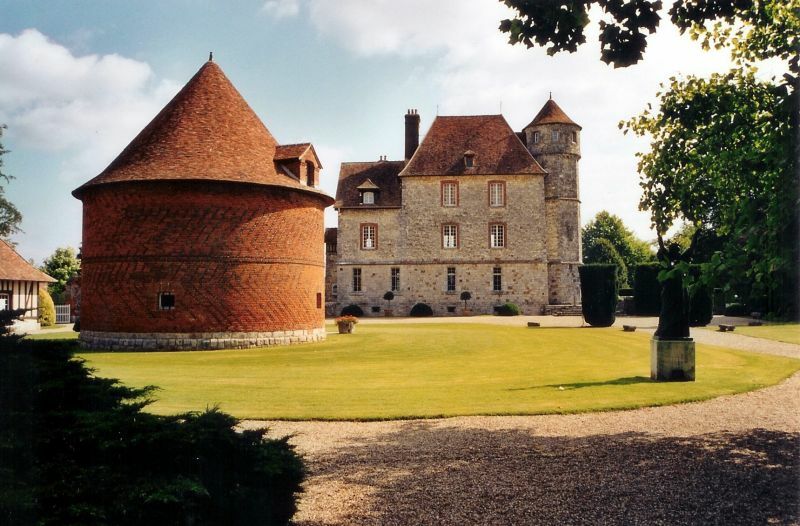 Place where Jules Michelet wrote his History of France Seigniorial dovecote with its rotating frame system(17thC) 12 acres modern sculpture park, with a French-style garden and landscaped waterfall. Major exhibitions of contemporary artists. Restaurant-tea room on site and book shop. Built in 1485 and converted in 1510 by a wealthy Rouen merchant. 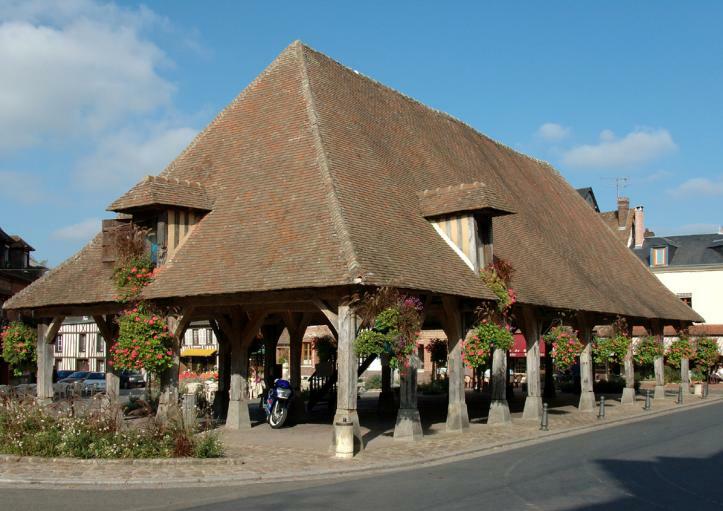 Inside the Regional Museum of Norman Arts and Traditions displays a vast Array of 15th and 19th century furniture, everyday costumes and jewellery and decorative objects from Haute-Normandie. 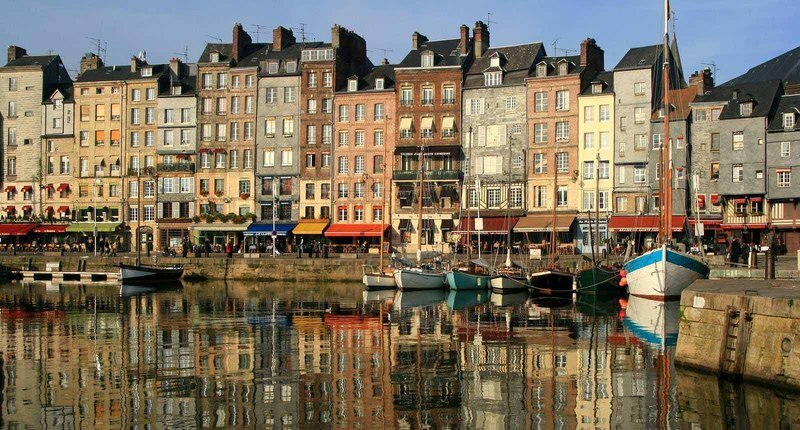 Honfleur is situated between the tidal estuary of the Seine and the ” Plateau d’Auge ” As both, a sea and a river port, but also a port of cell, the city of Honfleur has preserved its rich artistic and historic heritage. With the great discoveries, Honfleur was the birthplace of numerous navigators, sailors and captains. Samuel de Champlain (born in Brouage) organized from Honfleur several departures to Canada and particularly in 1608 with the founding of Quebec. In the 17th century, Colbert orders the townwalls demolition and the actual “Vieux Bassin” construction. The Salt Warehouses date also from this period. In the 18th century, thanks to the trade with the overseas countries, the shipyard expanded rapidly. Since the 19th century, Honfleur is a treasure for artists, Eugène Boudin gathered around him many fellow artists as Jonkgind, Monet or the poet Charles Baudelaire. Impressionnism was born. Discover the witnesses of this famous heritage through its picturesque streets, old houses, St Leonard’s Church, discover St Catherine’s Church and the old maritime district with its separate belfry. Deauville is situated at the heart of Normandy, it is a sea resort of international fame, and Deauville is the symbol of elegance and of a certain lifestyle, which has kept the charm of a holiday resort. 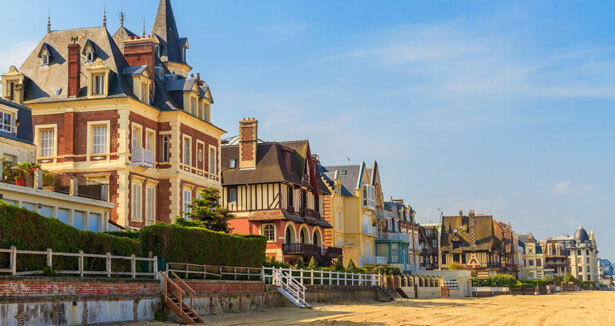 Deauville is at two hours from Paris and offers a multitude of events and leisure activities. The young artists of the second half of the 19th century leave their Parisian studios(workshops) to go to work outdoors to become soaked with the surrounding nature and try to reproduce on the painting their own impressions. An artistic home builds up itself around Barbizon and around the forest of Fontainebleau, but for certain artists as Alfred Sisley, Claude Monet, Auguste Renoir, there is no water which gives life to the light, they are thus going to surrender on the edges of the Seine and on the edges of the Oise to paint the surrounding nature, the everyday life of villages, the river animation and the new leisure activities: bathing, boating, water festivals, balls and joyful meal in open-air dance halls. Route of 3.15 km, departure of Pecq-sur-Seine, arrived Port-Marly. 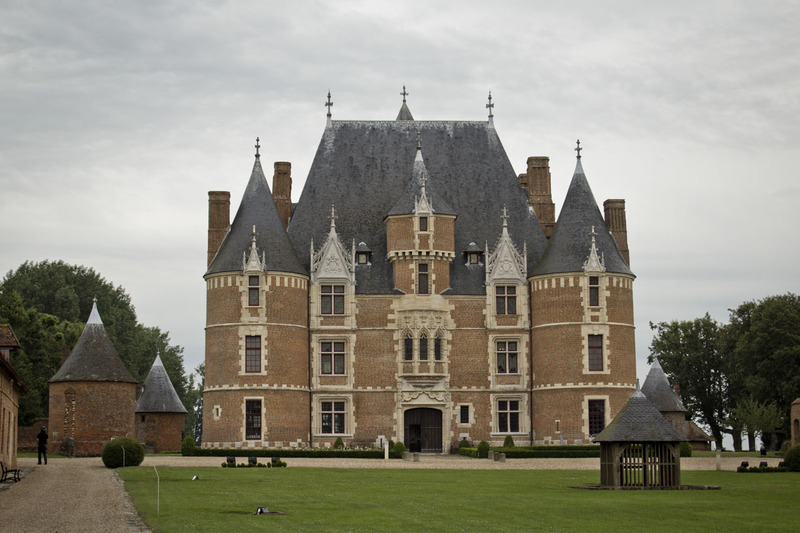 6 reproductions are to be discovered on this tour which will lead(drive) you along banks of the Seine: towpath in Port-Marly, Rowing Club, village of Pecq and district Saint-Wandrille, castle of Monte-Cristo, Alexandre Dumas’s house. Route of 6.6 km, departure of Louveciennes, Marly-le-Roi, arrived Bougival. 13 reproductions are to be discovered on this route where you will discover, among others, the path(way) of the Machine to Louveciennes with madam du Barry’s castle and Pavillon de Musique, aqueduct of Louveciennes, park of Marly and the Museum-walk of Marly-le-Roi – Louveciennes, the village of Marly, the drinking trough and the famous Horses of Marly. Route of 4.25 km, departure of Chatou, Croissy-sur-Seine, arrived Bougival. 5 reproductions are to be discovered on this route(course), a beautiful walk on the banks of Croissy will lead(drive) you up to the bridge(deck) of Bougival, you will cross in particular the Museum of the Sleepsuit, the Detached house(Flag) of Local History(Story) and the chapel holy Léonard to Croissy-sur-Seine. Route of 7,5 km, departure of Pontoise, arrived at Auvers on Oise. Several reproductions are to be discovered on this route. To see in Pontoise: the Pissarro museum, To se in Auvers: the house of doctor Gachet, the castle of Auvers, Charles Daubigny’s house / workshop, the museum of the absinthe, the inn Ravoux, the grave of Vincent and Théo Van Gogh, the church of Auvers.